You can use hillmap.com as a first step in scouting rivers for put ins and take outs, rapids, dams and other potential river obstacles. Here's a trip report of our first time in whitewater, with $12 "packrafts". Great trip, even better because we arrived at the river knowing where we might need to get out of our boats and scout ahead. A combination of the Satellite view and a topo map layer will allow you to scout the length of the river and measure the distance from landmarks to obstacles or the next take out. In Satellite view zoom in on the section of river you want to float and slowly pan the river. 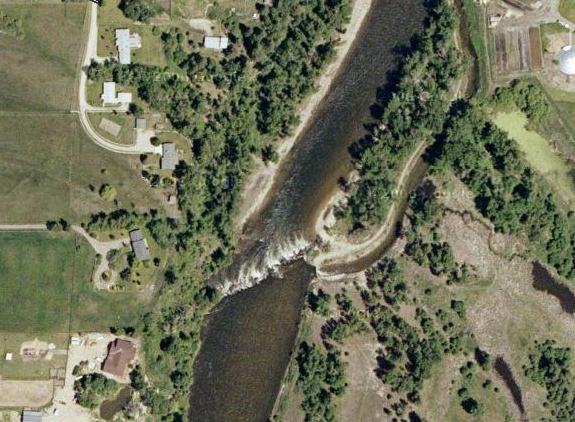 Sections of white water can indicate rapids, a very straight band of white water spanning the width of the river can be a dam, and sometimes you can see trees in the river that could be a strainer. A topo map layer will show you where the river bed enters gorges or where it may have quite steep banks, where streams enter the river or where the river branches. It will also show established take outs, campgrounds, roads and identify other structures. The information you need may not always be present on the map layers available at hillmap. You can add information through the "Add a Waypoint" function on the Paths tab. For our most recent trip on the West Fork of the Bitterroot, we added take out locations that we found through a web search. 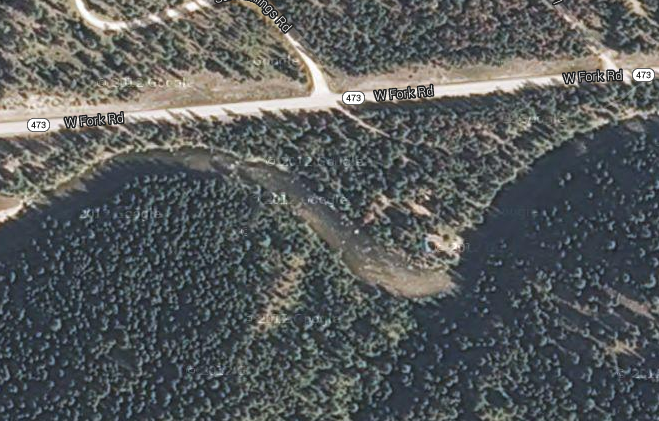 See our West Fork map of the Bitterroot on hillmap. At this point in time, Hillmap does not have a map layer that officially shows rapids and other river-specific information. Using hillmap as your sole source of information for serious rapids would be folly, and is not its intended use. The map layers available at hillmap are from a variety of sources, and may contain inaccurate, incomplete or out-of-date data. 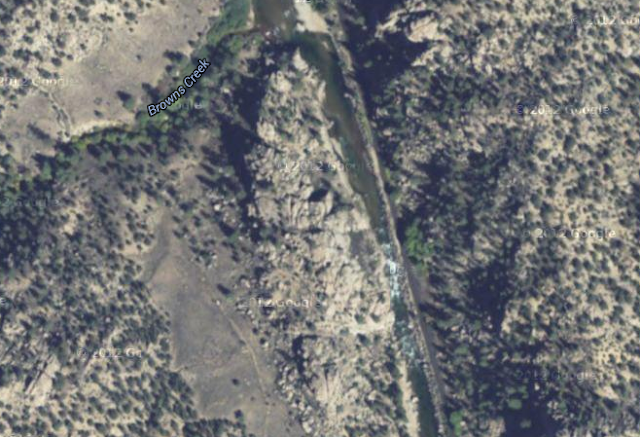 Given the super low water and mild rapids on the West Fork of the Bitterrot, combined with easy access for scouting in person, we felt that hillmap gave us additional information about the river that proved useful for the trip. Using Satellite View to scout terrain? Check out this post that includes screen shots of an area littered with downed trees.